The final game for the Ottawa Senators in the 2018-19 season will be played April 6 against the Columbus Blue Jackets, and both players and fans will collectively sigh in relief that this nightmare of a season has ended. Things could not have gone worse since the team made it to the conference finals in 2017 against the Pittsburgh Penguins. But you know all that already. Every news outlet in Canada has followed this train wreck and the fans are done with all of it. They know their team is terrible, they know they’ve unwittingly been forced into a rebuild, and they know their owner may be completely crazy. What they need now is some good news. Something to look forward to other than another long, difficult season. The Senators may have a difficult time looking forward to this year’s draft, as everyone is very familiar with the fact that their first-round pick – which has an 18.5% chance of going first overall – belongs to the Colorado Avalanche. But hope is not lost, Senators fans! As the Matt Duchene deal took away your first, so did it also bring back one from Columbus. Based on how the Blue Jackets have played as of late, the Senators will now pick in the 16-20 range. That’s nothing to scoff at, as this draft could be even deeper than last year’s superb crop of talent. 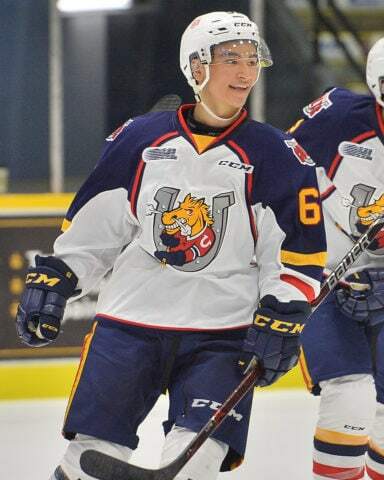 There are a few players to get excited about in the Senators’ range, from Barrie Colts center Ryan Suzuki, to American sniper Cole Caufield and towering Swedish defender Philip Broberg. Any of those players could come in and address a need for the struggling Senators. But that’s not all that Senators fans have to look forward to. Say what you want about general manager Pierre Dorian, he did the most with what he had at the 2019 Trade Deadline, raking in seven picks in the first three rounds over the next two years. That’s a lot of top-end potential that could be joining Ottawa’s system. This year, on top of Columbus’ first rounder, the Senators will also have the Florida Panthers’ second-round pick (on top of their own), and Pittsburgh’s third. And who knows? Maybe they’ll find the next Alex DeBrincat (taken 39th in 2016), Sebastian Aho (35th in 2015) or Brayden Point (79th in 2014). 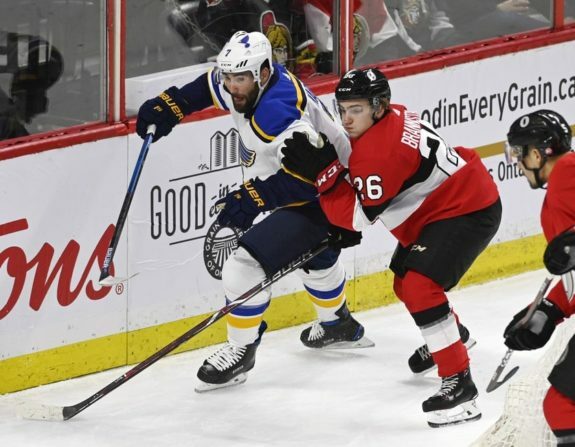 This off-season will undoubtedly be quiet for the Senators, as they have few notable contracts coming off the books (Magnus Paajarvi, Brian Gibbons, Anders Nilsson), and a big one to re-sign (Cody Ceci). The training camp, however, will be an interesting one. First off, there’s Erik Brannstrom, the defenseman who came over in the Mark Stone deal. He’s looking more and more like a Kris Letang every day – on the smaller side, but incredible offensive instincts and great speed. He will definitely be competing for a roster spot next season. Along with Brannstrom, Logan Brown and Drake Batherson could become regulars next season. While competition will be tough to secure one of the gaps opened up from the departure of Stone, Duchene and Ryan Dzingel, the edge will probably go to these two top prospects. Brown has been closely watched since his first round, 11th-overall selection in 2016, and he’s continued to impress, scoring over a point-per-game in junior and sitting top three in points for the Belleville Senators this season. Oh, and he’s a monster, standing 6-foot-6 and weighing in at 220 pounds. The Senators are undoubtedly drooling at the prospect of seeing Brown play a full season in Ottawa. Batherson, while not as highly rated as Brown, may have the leg up for a spot, simply because he has the experience. This season, he seemed to be the first player called up when the Sens were in a pinch, accumulating 20 games and nine points over the course of the season. And, like Stone and Dzingel, Batherson is a winger. After leading Belleville with 58 points in 55 games, look for him to become a mainstay in with the parent club. So you see, Senators fans, not everything is dark and gloomy. There are plenty of reasons for hope! And that’s without even mentioning Thomas Chabot’s breakout this season despite the absence of Erik Karlsson, Brady Tkachuk’s Calder-caliber season, or Chris Tierney’s surprising 47 points. I know this rebuild was forced upon you, and I know that the owner is still just a few hot dogs short of a picnic, but there’s a good team here, and if everything stays on target, you should be back in the conference finals in no time.